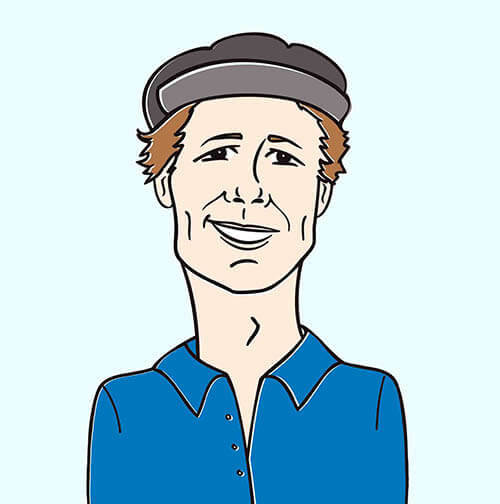 Leave it up to an Australian to do folk Americana better than most US born and bred artists. On her new album, Don’t Let The Kids Win (Polyvinyl Record Co.), Sydney’s Julia Jacklin has tapped into something special. Something that can only be found by creating music that amounts to an intimate examination of a life still being lived. In the new single for “Leadlight,” all of these elements are celebrated and given their fair share of time. Julia’s soothing voice weaves in and out of a waltzy backbeat with a charming lethargy to her delivery. In the “Leadlight” video, she delivers the same methodically mellow vibe, nailing her deadpan delivery in a most convincing way. Julia plays the part of a shy, insecure young lass practicing all of her best moves while working up the courage to talk to an oh-so-handsome young man. With a feeling reminiscent of a Wes Anderson film, the sum of “Leadlight” hits all the right notes through a combination of brilliant minimalist pieces. We have had Don’t Let The Kids Win spinning on repeat here at the office and can’t get enough Julia Jacklin! We are certain you’ll want to get this video into your programming, or perhaps catch here in the US this fall on tour with Marlon Williams. Please get in touch with us here at HIP Video Promo to let us know what we can do to make that happen! Call 732-613-1779, email info@HIPVideoPromo.com. 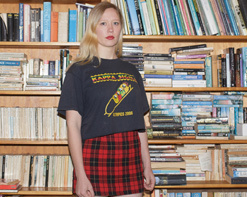 You can also visit www.JuliaJacklin.com or www.PolyvinylRecords.com for more info on Julia Jacklin.